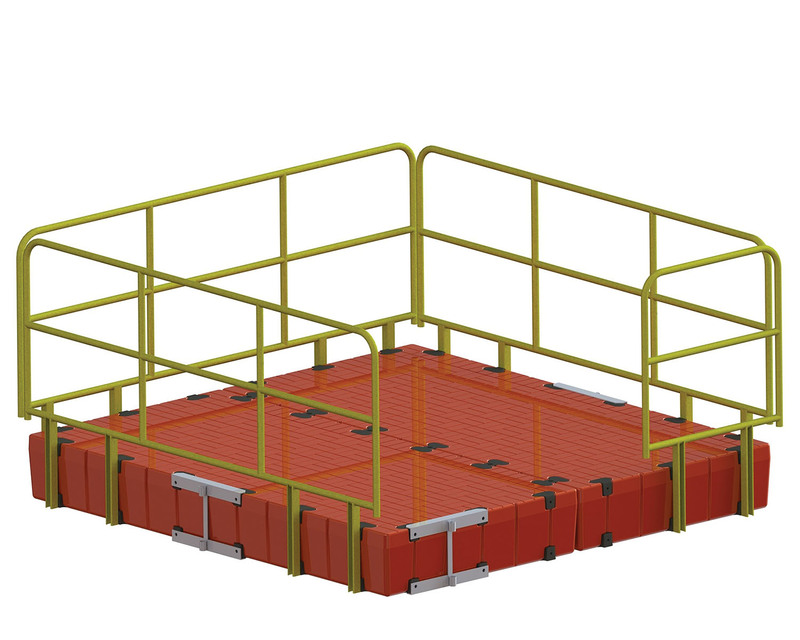 SPI Products—the parent company behind some of the leading buoy and industrial flotation product lines—is getting ready to launch a new product line: a patent-pending lineup of modular floating walkways and docks the company calls Snap Dock. Blake Elder, executive vice president of SPI Products, told The Waterways Journal the idea for this product came as he and other SPI staff delivered their products to industrial sites, including waterfront sites, mines and aggregate operations. “A lot of products used on these sites have to be custom-manufactured on-site, which is expensive and time-consuming. Industrial operators want to focus on what they do best—operating,” he said. 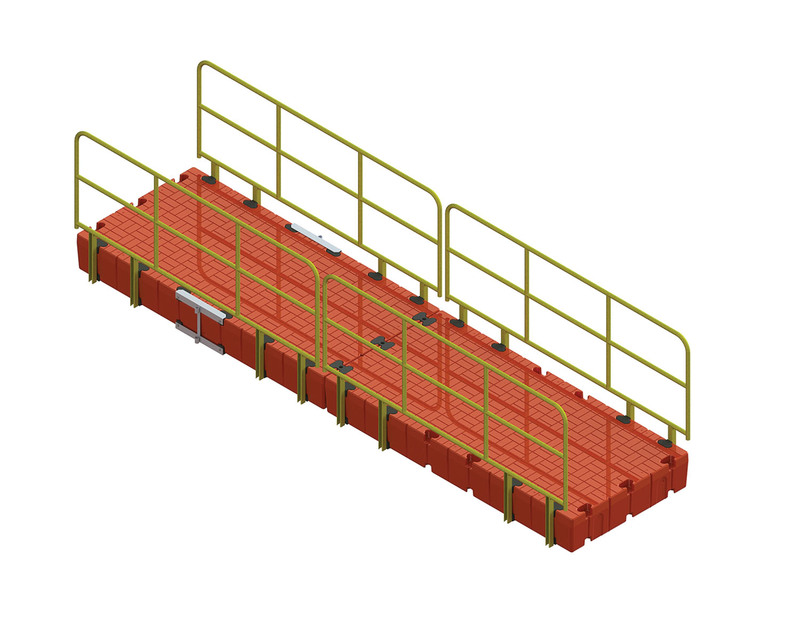 He saw a need for a modular floating dock and walkway system that is durable and customizable, yet quick and easy to assemble. Elder said SPI will promote Snap Dock as a separate brand. The modular sections measure 10 feet by 5 feet by 15 inches. They are made from plastic that is rotationally molded, which is a method used to make denser heavy-duty plastic components to higher standards of stress resistance and toughness. The parts are corrosion resistant and environmentally safe. The special rubber connectors that connect the parts, which resemble a dog bone or the letter “H,” are made out of recycled rubber tires. “We wanted to introduce some sustainability into the product,” said Elder. The connectors allow some flex that accommodates wave action. 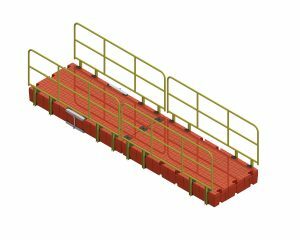 All parts are made in the U.S. Elder said that for durability, the product will compete favorably with steel or aluminum walkways or docks. For now, Elder is concentrating on two markets: residential docks and marinas, and industrial markets, including the commercial marine market. 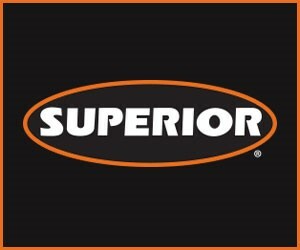 Elder said the official product launch should take place in March.